Home General News Many Americans don’t have wills, but should. Do you have a will? Many Americans don’t have wills, but should. You can do it yourself online, but consulting a lawyer is often a safer bet. 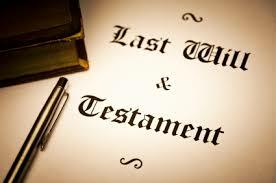 Contact our office today to setup an appointment to meet one of our attorneys to setup your will.